I’ve been running for over a quarter of a century so it’s part of my life now. I ran lots of 10K’s to begin with but when I decided to do something different for my 50th birthday, I chose the North Devon Coastal marathon. Training for such a marathon meant finding countryside and hills which we are fortunate to have in South Hampshire but which I had largely overlooked before. Recently I was very chuffed to be interviewed by Alton Sports Nick Carter for his GosVegas redsofa series. We managed to cram 30 years of running into 7 1/2 minutes 🙂 If you’ve got 7 1/2 minutes spare, take a listen, thanks. I started blogging in April 2015 with a few photos and ideas from the February and March of that year. 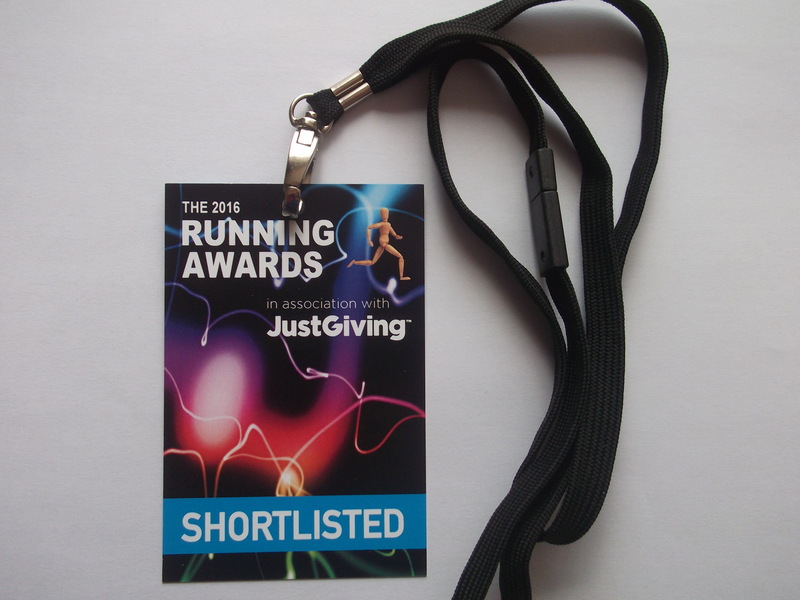 Towards the end of 2015 I decided to enter the national 2016 Running Awards Best Blog category. These awards are purely decided on with the general publics votes. I was very proud to make it into the last 12 shortlist in my first year. Travelling to London’s O2 was a great experience for the awards night. I may not have figured in the top 3 but I was very proud that the blog I write in my front room had made it to the awards. I have also made the shortlist for the 2017 Running Awards Best Blog. With there being 80 blogs in the category this year for the same 12 shortlisted places this was even more pleasing. I had a great night and met lots of fellow bloggers. Added to the above I have written race reviews for runultra and I’m proud to have been included in their shortlisted competition for best ultra blog in both 2017 and 2018. Both Race to the King and the 3 Forts Challenge have used my blog write ups in their marketing for 2018. I joined Instagram in February 2018, again I’ll follow back other runners or bloggers. For consistency I’m called irunoffroad too 🙂 ………….. currently around 500 followers / follows.